America’s creation myth sings of people who came to an empty land seeking freedom, charged with a holy mission to destroy evil, save souls, carve civilization out of darkness – and get rich. In the land of opportunity, greatness was limited only by one’s own desire. The Founding Fathers contradicted their Puritan predecessors and declared the demise of original sin. Since then, Americans have maintained a superficial belief in the tabula rasa, the “clean slate” that we can fill with anything (even as our vestigial belief in predestination remains in the shadows). Even now, TV commercials for the military encourage us to “be all you can be.” The cliché is effective because it hints at the notion of purpose. Assuming that we have unlimited opportunity, however, leads to the belief that we can be anything we want to be. This is a characteristically inflated and innocent American misinterpretation of the indigenous teaching that we were born to be one thing, and that the task of soul making is to discover it. In this story Man was fallen and sinful, yet he could become whatever he wanted. Indeed, in 1776 – for the first time in history – a nation proclaimed the pursuit of happiness as its prime value. Eventually, religion and the urge to profit merged as they did nowhere else. Without the support of a state religion or centralized Catholicism, and with Protestant churches constantly splitting in schisms, each individual preacher was forced to become an entrepreneur of souls, a salesman, in order to distinguish his church from other churches and increase its membership. Consequently, a business-growth mentality grew within American Protestantism, and its philosophy of optimistic self-improvement merged with the capitalist ideology of greed, entitlement and perpetual growth. In the 1830s Alexis de Tocqueville observed of American preachers, “…it is often difficult to be sure when listening to them whether the main object of religion is to procure eternal felicity in the next world or prosperity in this.” Where else but in America would there exist a doctrine known as the “Prosperity Gospel”? The shadow of this narcissistic, blind optimism is wounded innocence – and the rage that may be released once that innocence is punctured. “Freedom” became a holy term that meant all things to all people. “Liberty” (from a Roman epithet for Dionysus, Liber) implies release – the return of the repressed – and liberation, in both its Marxist and Buddhist meanings. Americans struggled for a while with the difference between positive liberty (the power and resources to act to fulfill one’s own potential) and negative liberty (freedom from restraint, what one didn’t have to do). Eventually, the two forms of liberty birthed a monster. Freedom became entitlement to do what one wants, regardless of the needs of the community, the power to achieve it, and the privilege to take liberties with others (“to liberate” is military slang for looting). This interpretation of the pursuit of happiness led eventually to the liberties extended to non-human entities – corporations. But when extremes of wealth and poverty did appear, the rich (and those who would emulate them) felt little obligation. Belief in predestination survived long after formal Puritanism declined. The myth taught that poverty was one’s own fault, not that of the economy. The object then as now was to “get ahead,” to constantly improve one’s economic status relative to one’s neighbors or family. Each man was free to make something of himself or to fail. Either way, he was a “self-made man,” a phrase coined in 1832. By the early nineteenth century, the first “self-help” manuals appeared, often written by clergymen, extolling the Protestant virtues of hard work and perseverance necessary for success. 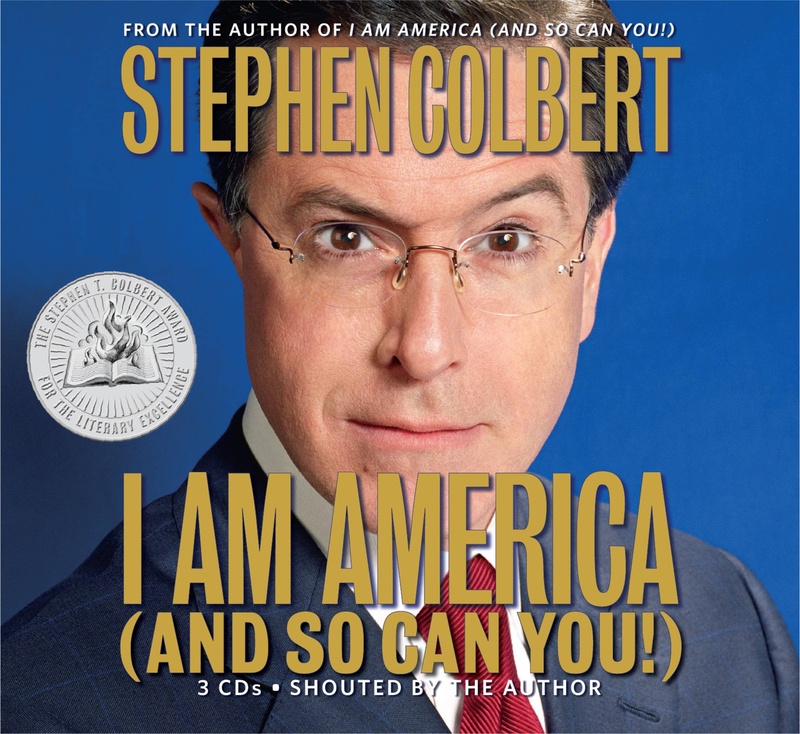 …radical individualism is what I call the default mode of American culture. It is where we go when things are relatively stable…But (this) individualist tradition finds the very idea of the common good incomprehensible. Archetypes, in strictly Jungian terms, are universal aspects of the collective unconscious, appearing in all cultures. But I think it is possible to speak of cultural archetypes that express the essence of particular societies. There is no better term; “stereotype” doesn’t convey the same sense of potential that archetype does. There are two primary American archetypes. Opportunists (exemplars of what I call the predatory imagination) demonize government regulation, while Puritans (who embody what I call the paranoid imagination) emphasize individual spiritual (and financial) responsibility. But they both share the obsession with self-improvement and personal achievement; and this keeps them both ignorant of the suffering around them. Wealth remains proof of grace – and poverty indicates the opposite – even if the religious terminology fell away long ago. Americans, like no people before them, strive for self-improvement. But within the word “improve” lies the anxiety of those who can never know if they’ve attained the otherworldly goal. Thus we must continually “prove” our status in this one. While the middle-class ideology of the American Dream reinforces the belief that people can “rise” through hard work and self-denial, our mythology of radical individualism also encourages an underworld of those who would achieve their aims by not playing according to the rules of polite society. 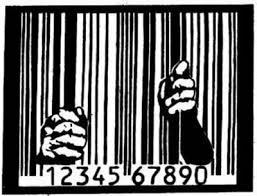 We can think of crime in America in terms of getting rich through alternative means, whether through the shadow opposite of corporate capitalism known as “organized crime,” or through the anti-heroic exploits of the outlaw. But here I want to discuss the uniquely American phenomenon known as the Con Man. 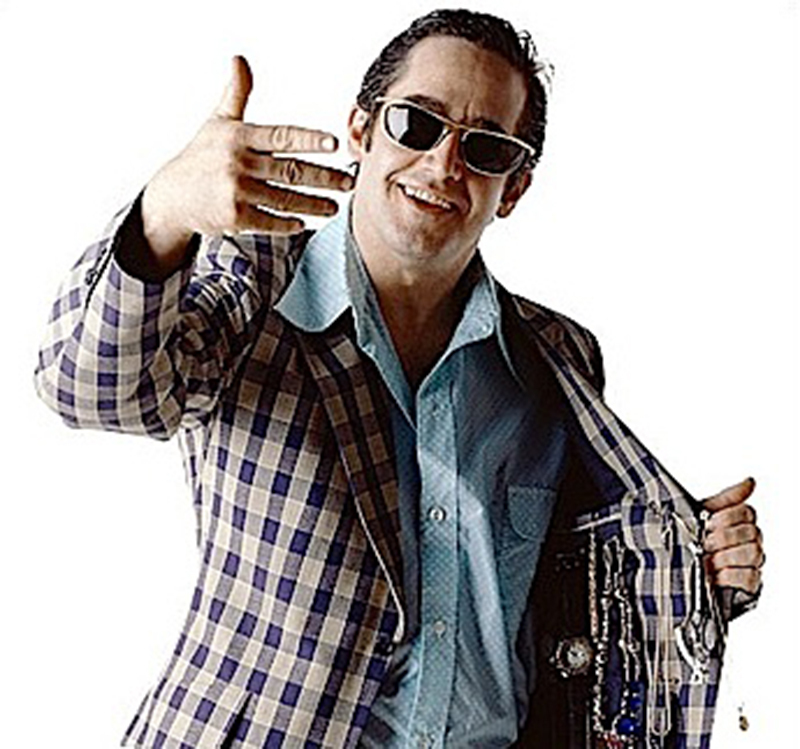 The first known usage of the term “confidence man” was in 1849 by the New York City press, during the trial of a man who chatted with strangers until he asked if they had the confidence to lend him their watches, whereupon he would walk off with the watch. Herman Melville understood that, after 200 years, this willingness to manipulate the innocent had become part of the American psyche. In 1857 he published The Confidence-Man: His Masquerade. The novel’s central character is an ambiguous figure who sneaks aboard a Mississippi steamboat (on April Fool’s Day! ), testing the confidence of the other passengers. Each person including the reader is forced to confront that in which he places his trust. By the mid-eighteenth century, the confidence man (as Melville saw him) had already become an archetypal figure of the American soul, a kind of sub-category of the Opportunist. Later writers elaborated on this theme, describing a confidence trick as a con game, a con, a scam, a grift, a hustle, a bunko, a swindle, a flimflam, a gaffle or a bamboozle. The intended victims are known as marks or suckers, and when accomplices are employed, they are known as shills. 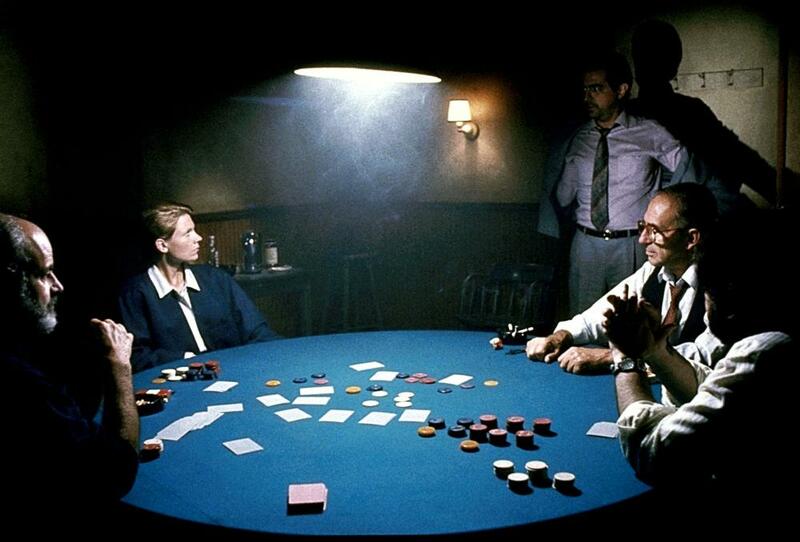 In David Mamet’s great film House of Games the main con artist explains that, in a typical swindle, the con man gives the mark his own confidence, encouraging the mark to in turn trust him. The con artist thus poses as a trustworthy person seeking another trustworthy person, who will rely on the good faith of the con artist. He will sell you the Brooklyn Bridge and make you feel that you have out-bargained him. 1950 marked the approximate point at which the old Protestant values of thrift, hard work, modesty and delay of gratification succumbed to the onslaught of television, advertising and the constant pressures of the culture of consumerism. What I didn’t realize at the time was that television would start to change how Americans saw things in striking ways that still aren’t given enough credit for their part in the decline of our culture…For one thing, circus barkers became not a once a year curiosity in your town but part of the nightly visual experience. We called them TV commercials but they had much the same effect. The constant sound of hyperbole and misrepresentation became a common part of our lives. Sure radio had them, but radio being only a sound, stayed somewhat removed from our true being. When a guy is not only yakking, but enhanced by an attractive blonde coming on to you or some other visual distraction, it inevitably becomes more than a sound. By now, our addiction to collecting stuff (and the hole in our collective soul underneath it) has been part of the national character for so long that it exists side by side with our own ironic self-mockery. We all know that the non-stop barrage of radio voices, TV images and telemarketers are “conning” us into buying more unnecessary “goods.” Few are surprised to hear that advertising attempts to create artificial needs, to make us feel incomplete without satisfying them. We all know that the man behind the curtain is not the Great Oz who will admit us to the company of the elect. We joke with each other about the con (I don’t really need that widget, but I deserve it), even as we spend all of Saturday at the mall (or online) in what has become the real American pastime, shopping. The con has become part of who we are.